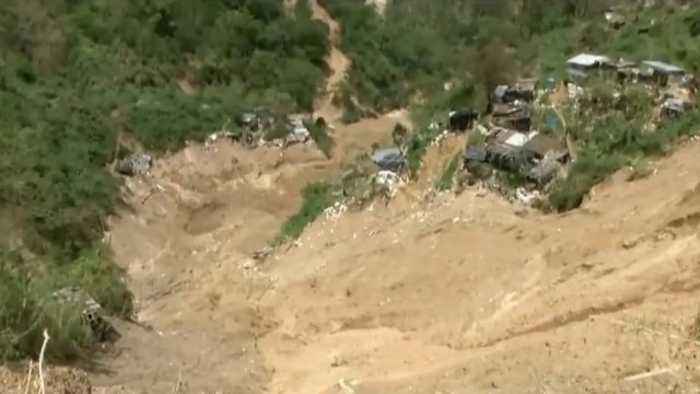 Dozens of people were killed in landslides and flooding caused by heavy rains. At least 71 people are dead after a massive storm struck the Philippines, according to the country's National Disaster Management Agency. Multiple outlets report at least 57 people died in the mountainous region of Bicol and at least 11 people died in Samar. Many were killed in landslides and flooding. Officials say 17 people are missing and more than 40,000 were displaced. Officials say the death toll will likely continue to rise. The Bicol Civil Defense director says the storm was not strong enough to be rated as a typhoon, so many people were not prepared. 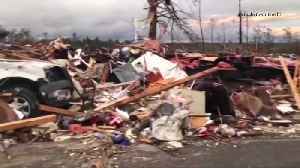 The country has already faced a number of deadly storms this year. Super Typhoon Mangkhut killed more than 80 people in September. And in October, Typhoon Yutu killed at least 17 people. 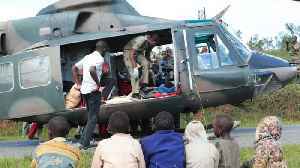 Cyclone Idai's death toll has risen above 750 in the three southern African countries hit by the storm. 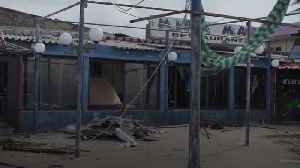 This footage shows the scale of devastation left in Beira, Mozambique, in the wake of the storm. 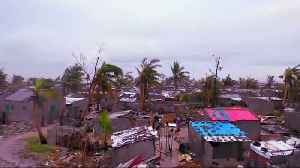 The number of people killed in a powerful cyclone and flooding in Mozambique has risen above 200, more than doubling the country's death toll from a storm that could rank as one of the worst..
Reuters reports the number of people killed in a powerful cyclone and flooding in Mozambique has risen above 200. That's more than double the country’s initial death toll from Cyclone Idai. The.. Authorities say at least 23 people, some of them children, have died after a tornado swept through Lee County, Alabama, destroying numerous homes and leaving a death toll that could rise as rescuers..
At least fourteen people, some of them children, have died after a tornado swept through Lee County, Alabama, destroying numerous homes and leaving a death toll that could rise as rescuers sift through..